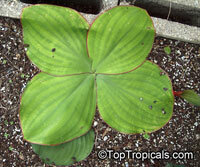 This is a dwarf or miniature tropical ginger with small but attractive foliage. 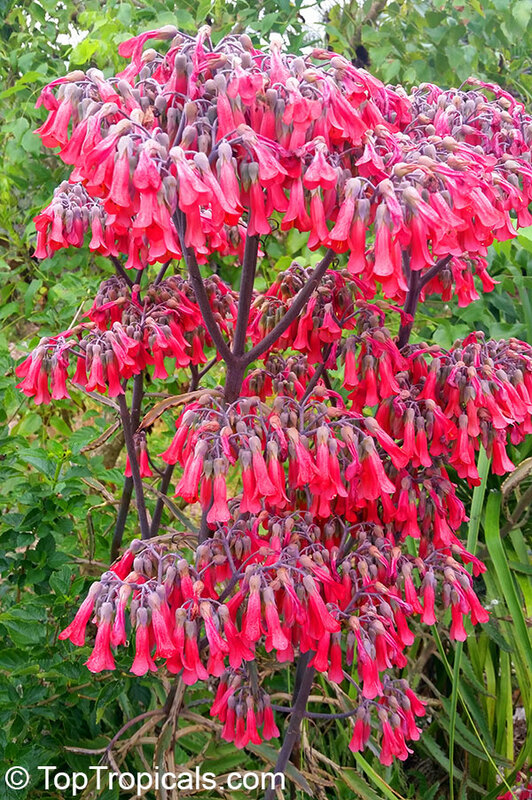 This shade lover produces pinkish purple flowers. 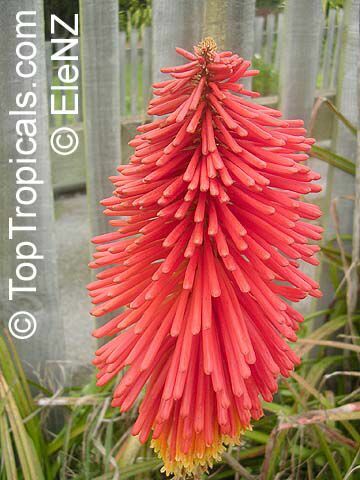 This plant is rarely offered for sale and a good plant for collectors. 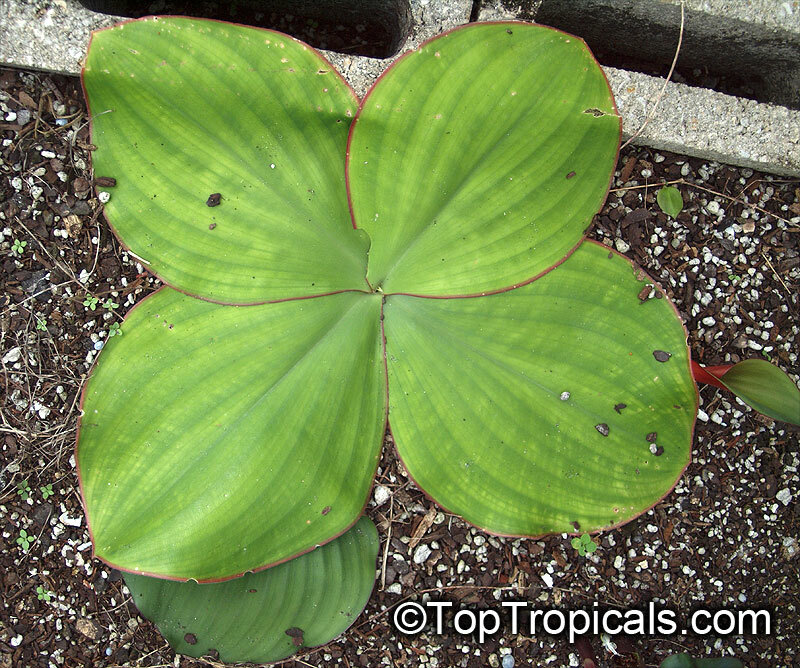 Kaempferia marginata is an understory ginger plant from tropical forests in Southeast Asia, with a unique leaf structure. 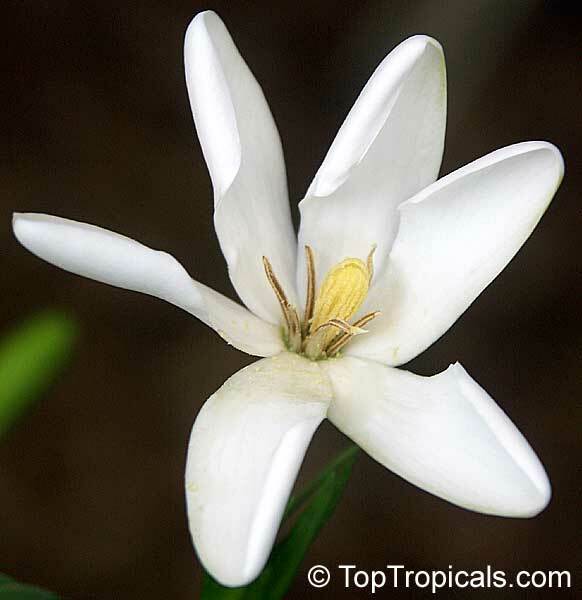 Rare unique fragrant plant from SE Asia. 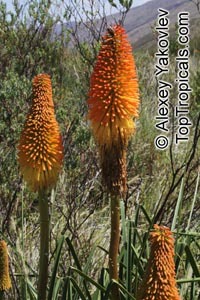 Discovered by and named after Dr. Kai Larsen. A compact and slow growing shrub with long, pointed, dark green waxy leaves and white fragrant gardenia-like flowers 2-3" wide, with a yellow center. 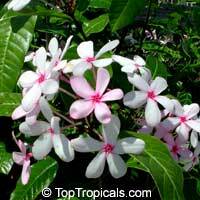 The scent is very sweet and strong. This plant is a rheophyte, wich means it needs a flow of fresh water, while growing in a well-drained medium. In nature it grows in cracks of rocks in streams, in areas of deciduous woodland or dry evergreen forest. Flapjacks. Also known as paddle plant, flapjacks, desert cabbage, this is a species of Kalanchoe native to South Africa. 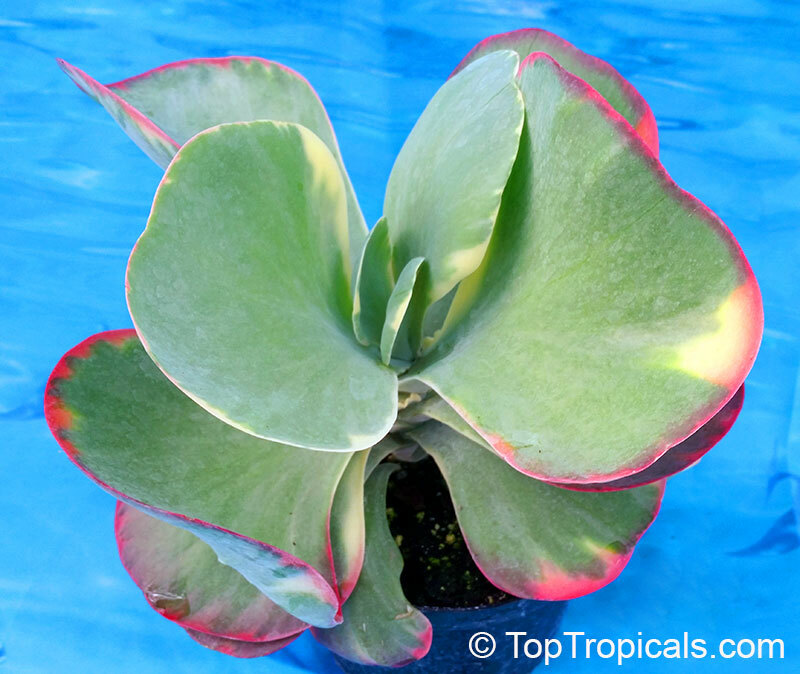 This Kalanchoe has large paddle-shaped leaves which redden beautifully from the margins in direct sunlight. 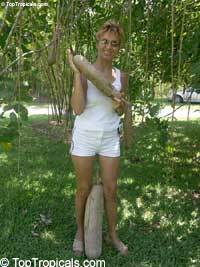 Leaves can grow to be 6 inches long and 3-4 inches wide. It will form a lovely clump over time. 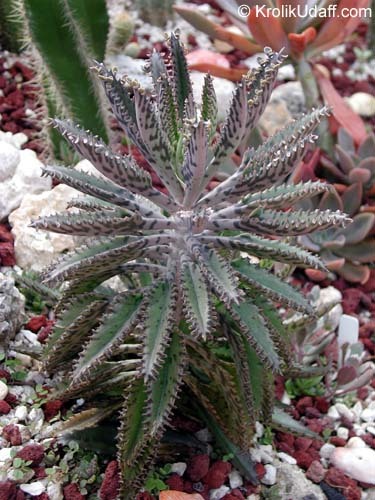 A succulent plant forms a basal rosette of large, rounded, fleshy, stalkless leaves, which are grayish-green with red margins, covered with a white powdery bloom. 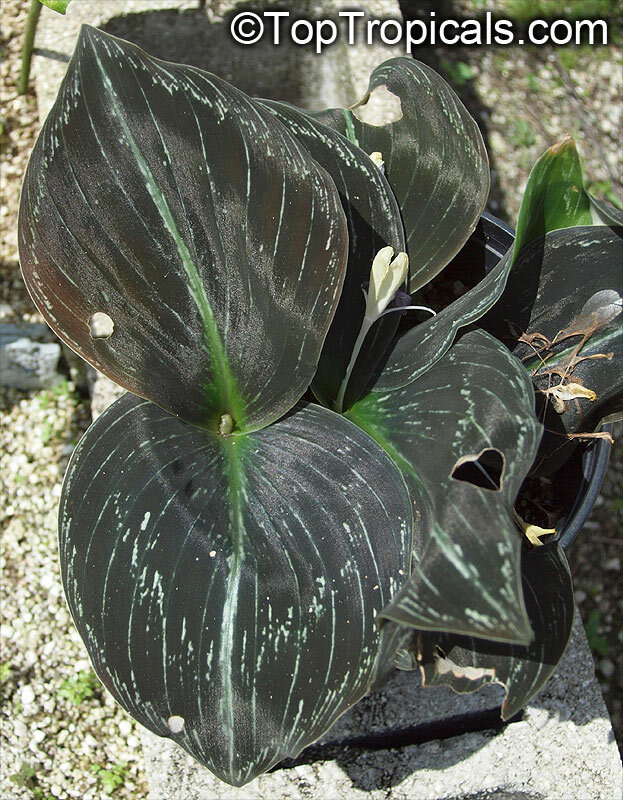 Unique rounded, silvery-green leaves have a dramatic red blush from the leaf edges flushing throughout most of the leaf. Sausage tree. 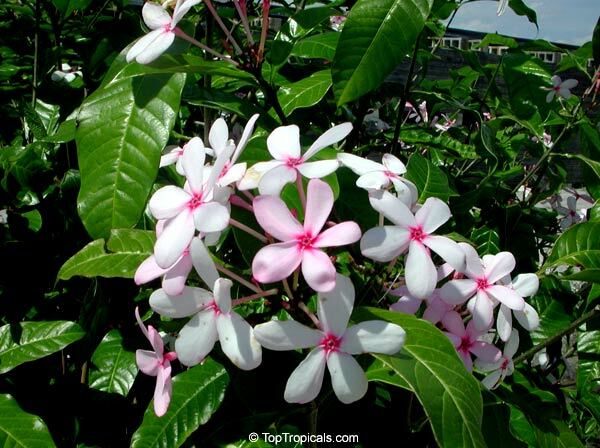 Fast grower, hard-to-kill plant! 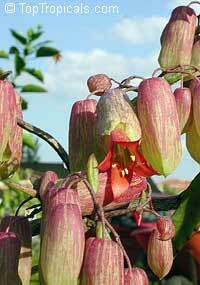 It produces large, dark red flowers that hang from the crown of the tree and huge sausage-like fruits. 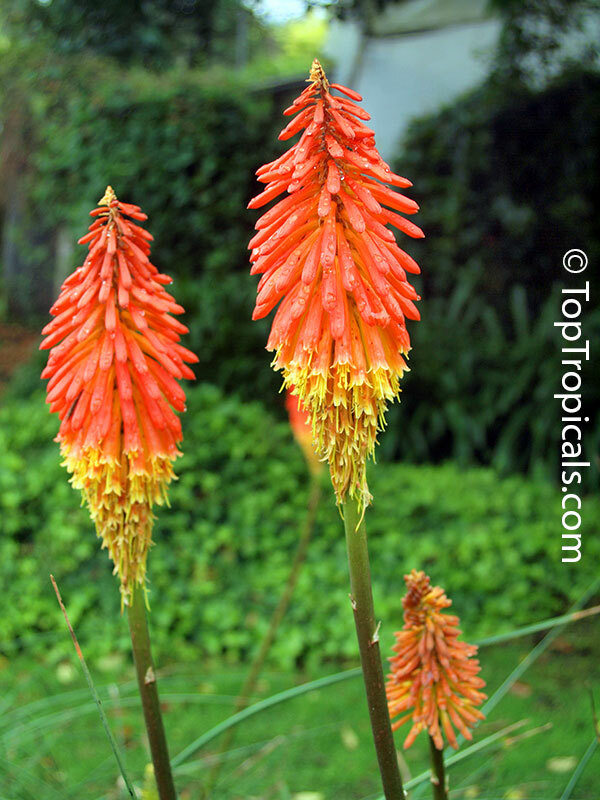 Plant seeds at 3/4" depth using well draining soil mixture. Requires constant warmth and bright light. Keep lightly moist and fertilize monthly. 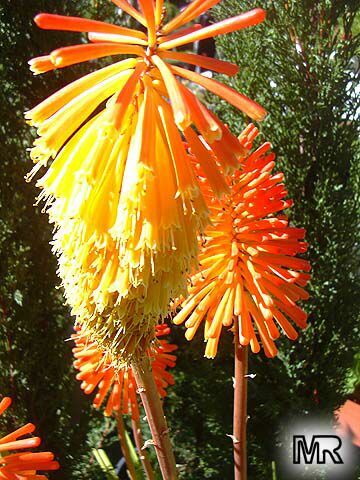 Red Hot Poker is the local nickname for these bold, handsome plants. 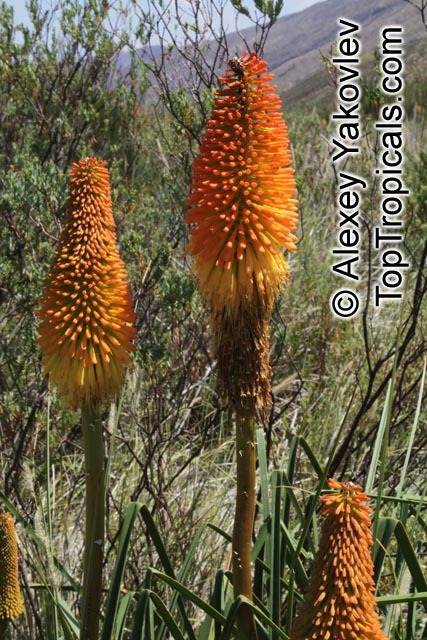 The thick, almost succulent leaf blades are evergreen, and of interest even when the cylindrical flower spikes are absent. 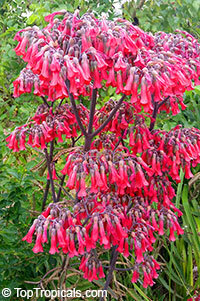 Heat and drought tolerant. Kniphofia grow well in rich soil located in an open sunny position or partial shade. Most species require plenty of water during the growing season if they are to thrive and flower well. 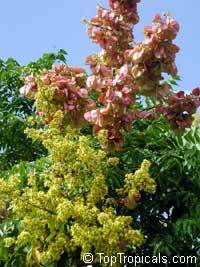 Golden Rain Tree, Chinese Flame. 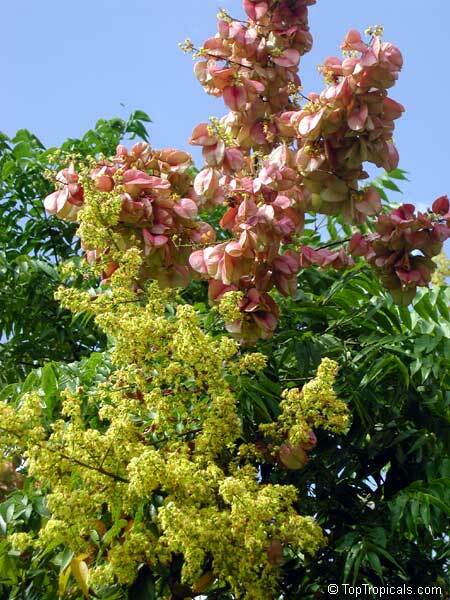 A drought resistant tree grown for its abundant late summer golden flowers and papery, lantern-like fruit. Bright yellow flowers appear in early summer in long, terminal, panicles. Pin-mala. 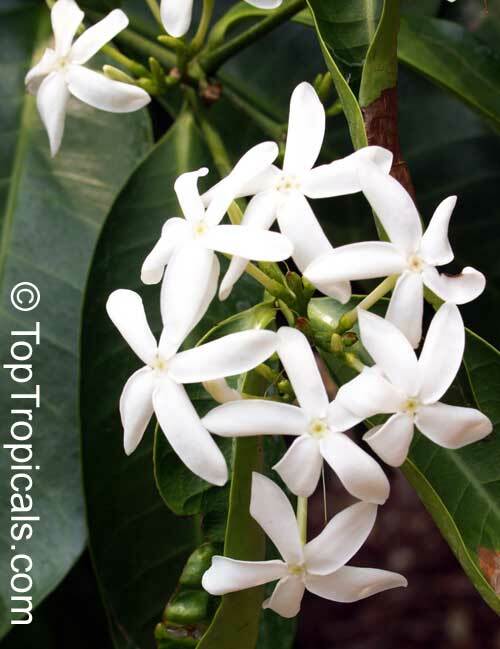 A small tree with leathery leaves and white fragrant flowers.